2019 Michael McDowell #34 Love's / Speedco / Ford Mustang NASCAR 1/24 diecast, by Action Lionel. The Front Row Motorsports #34 Love's Speedco Ford Mustang will be raced by Michael McDowell in select events during the 2019 Monster Energy NASCAR Cup season. 2019 Michael McDowell #34 Love's / Speedco / Ford Mustang NASCAR 1/64 diecast, by Action Lionel. 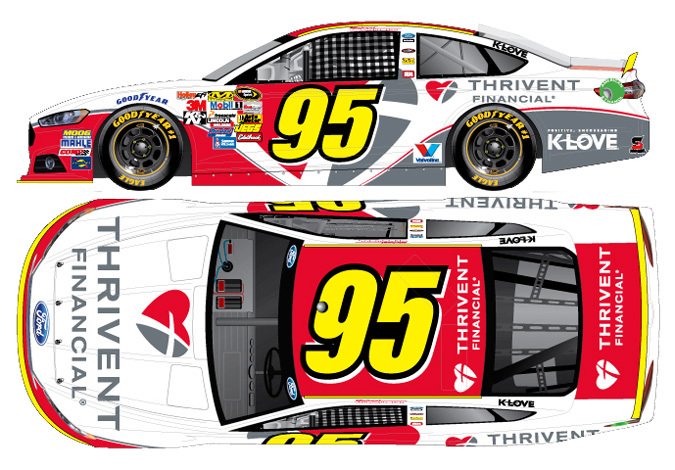 The Front Row Motorsports #34 Love's Speedco Ford Mustang will be raced by Michael McDowell in select events during the 2019 Monster Energy NASCAR Cup season. This diecast car will not have the Monster Energy decal on the windshield. Autographed version available $69.99 (1 of 144) - Autographed by Michael McDowell, on the windshield in Silver. Includes an Action Racing Collectables certificate of authenticity. 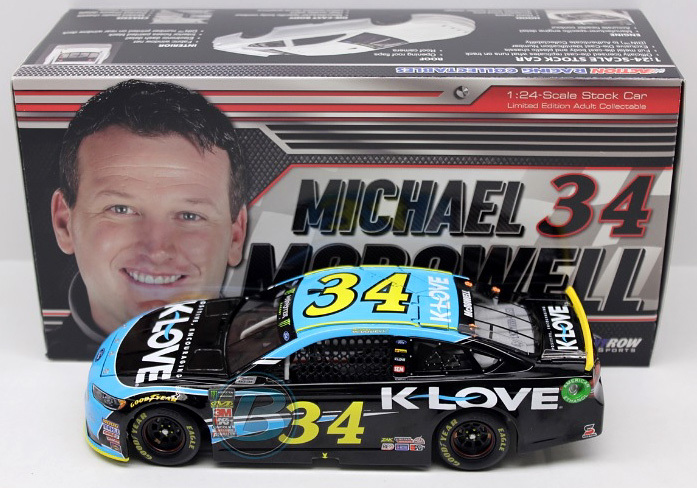 2018 Michael McDowell #34 K-Love / Ford Fusion NASCAR diecast, by Action Lionel. 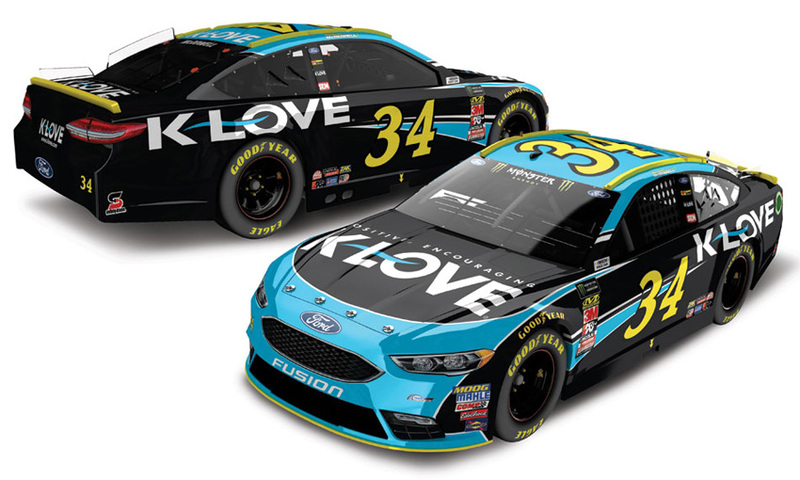 The Front Row Motorsports #34 K-Love Ford Fusion was raced by Michael McDowell in 5 events during the 2018 Monster Energy NASCAR Cup season. This diecast car will not have the Monster Energy decal on the windshield. 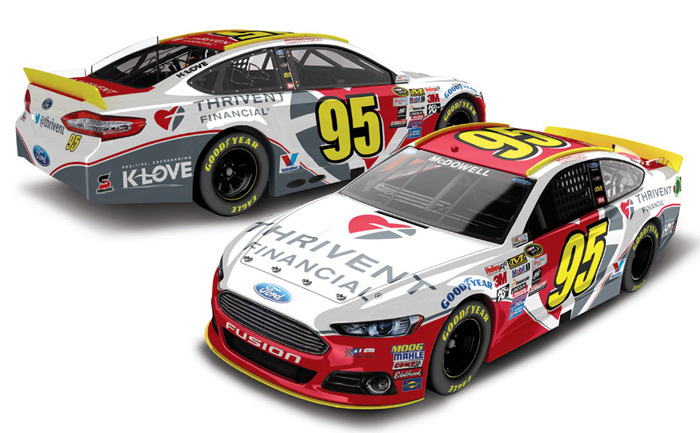 2018 Michael McDowell #34 Love's / Ford Fusion NASCAR diecast, by Action Lionel. 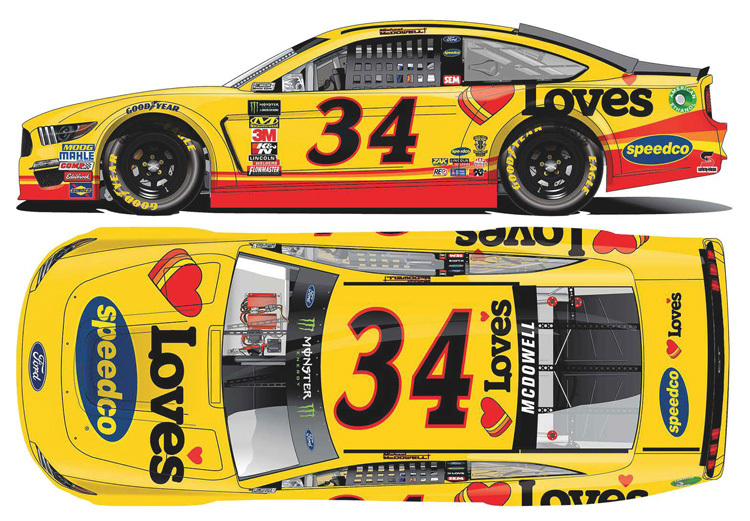 The Front Row Motorsports #34 Love's Ford Fusion was raced by Michael McDowell in select events during the 2018 Monster Energy NASCAR Cup season. This diecast car will not have the Monster Energy decal on the windshield. 2018 Michael McDowell #34 Coburn's / Ford Fusion NASCAR 1/24 diecast, by Action Lionel. The Front Row Motorsports #34 Coburn's Ford Fusion was raced by Michael McDowell in the Monster Energy NASCAR Cup, Hollywood Casino 400 at Kansas Speedway on October 21, 2018. 2018 Michael McDowell #34 Coburn's / Ford Fusion NASCAR 1/64 diecast, by Action Lionel. The Front Row Motorsports #34 Coburn's Ford Fusion was raced by Michael McDowell in the Monster Energy NASCAR Cup, Hollywood Casino 400 at Kansas Speedway on October 21, 2018. This diecast car will not have the Monster Energy decal on the windshield.